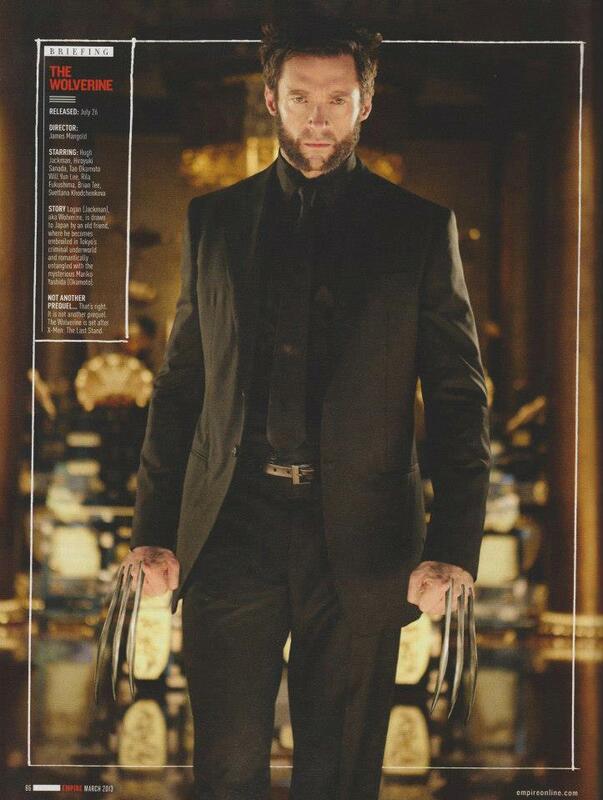 Thanks to a leaked issue of the upcoming March Empire Magazine we have a preview of what Hugh Jackman will look like as Wolverine in a whole new suit. It’s not something we have seen Logan wearing before and we can only speculate to why he’s dressed like he’s been to someones funeral or ready to send someone to one. The leaked page goes on to further confirm this will be a sequel and fit in some time after X-men First Class and I would presume before the events that happen in X-men Days of Future Past. One part of text says Wolverine will be going deep into the Tokyo criminal underground so the black suit could be some sort of mafia style suit or he’s finally got a real job. The movie is still set for release on the 26th of July 2013 and may have a few more cameo appearances yet to be announced. Is Xavier a figment in Wolverines imagination?